Here are some of my favorite nail colors for fall and probably transitional into winter. I know this may be a little confusing but I love O.P.I.’s collection for the New York Ballet. The shades are all super sheer and leave tips with just a kiss of color. See for your self. Very sophisticated. Super rich dark shades in greys and plums, get you into the warm cozy feeling of fall. Takes dark shades to a whole new level. The lack of shine it almost luxurious in it’s velvet like texture. Imagine it’s like wearing fine satins and velvetines on your nails. Let me know if you tried any of these shades or trends and what one was your favorite. Got some really cute things today that I think I’ll get some really cute outfits out of. Here is a list and hopefully the pictures load this time. Levi’s Demi Curve Skinny Low rise. It was so great to finally find that perfect pair of jeans after searching forever! I kind you not, forever! These are super soft and stretch just perfectly. Pacsun Bull Head Black skinny in Teal. Always wanted this color. Looks more aqua to me. Pacsun Bull Head Black Skinny. I didn’t have a light wash skinny yet so I was glad to finally find a flattering pair. I also got a dark pair. Pacsun Bull Head Black Bootcut. This style is flattering on everyone and looks great with heels. 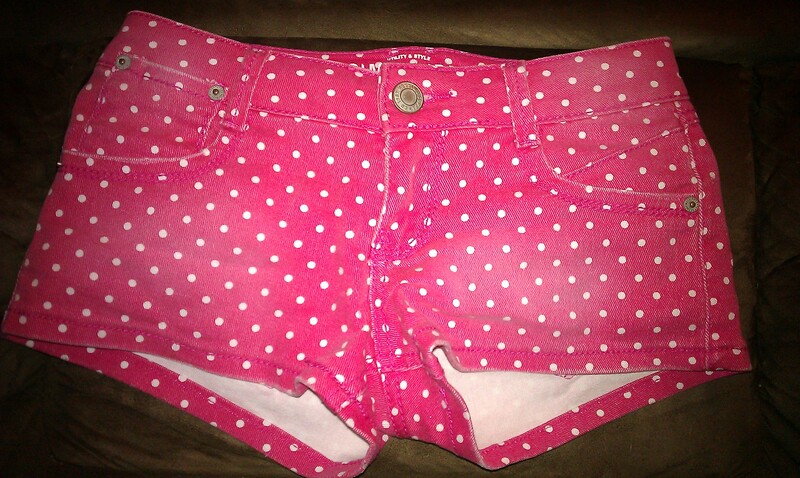 Target Polka Dot Denim Shorts. I think I have a thing for polka dots right now because I have been attracted to almost anything with dots on it lately. I was thinking about pairing this with a slouchy white sweater when it gets colder out. Charlotte Russe Leopard Bustier. I just died when I saw this. So many ideas came to my mind. Wear with high waisted denim shorts for a tough look. Wear it under a loose knit sweater for an innocent peek-a-boo or wear under a cardigan for a bad girl prep school outfit. 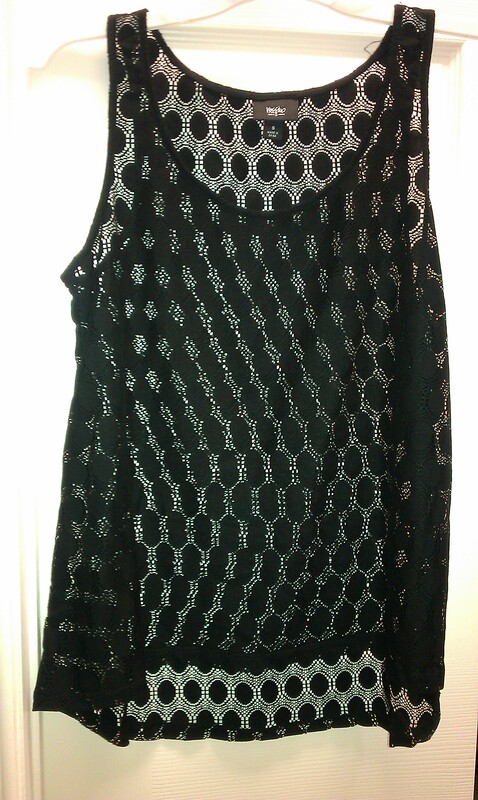 Target Dot Mesh Flowy Tank. Like I said I think I have a thing for dots. This top is very billowy and would look super cute with a bandeau underneath. A bright color would be best. I picked up some nail polish too. These 2 were meant for each other. Hope this post gave you some ideas for your next shopping trip and maybe some outfit ideas. I’ll post some fall outfits here soon. Here is a list of some cute things I’ve seen and want to add to my shopping/must have list for fall. Let us begin! Ok well that’s all the time I have right now for online shopping. I’ll make another list when I get a chance to get at it again.